We are a company driven by innovation and technology. It is our goal to stay on the cutting edge of technology and at the forefront of the market. We currently have 21 CNC machines, including 14 Tornos high precision Swiss-type lathes, excellent for manufacturing small and high precision parts for the medical, aerospace, electrical/electronic components, and firearms, among other industries. 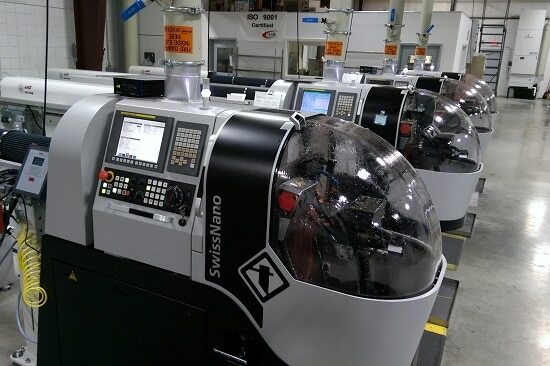 Among the 14 Tornos machines, we have two new SwissNanos 8-axis machines, ideal for very small parts requiring extreme quality and precision, and one new Evo-Deco 32 12-axis machine, ideal for bigger and complex parts. Such top of the line machinery, their superior manufacturing speed and flexibility to make some high precision parts complete enable us to maximize the value we deliver to our customers. 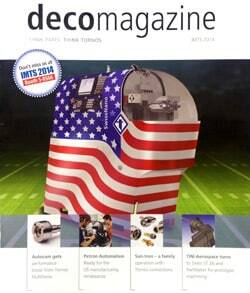 We typically sell and replace our Swiss-type lathes after five years of service. Such practice not only helps us to benefit from the market’s technical upgrades and innovation, but to limit the machine’s down time caused by the typical wear problems from older machines. 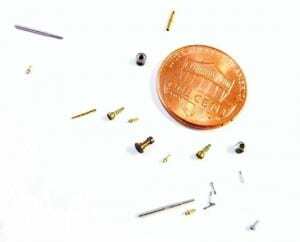 Our machines’ capacity ranges from approximately 0.004″ (0.1 mm) to 1.250″ (32mm) in diameter. We have experience manufacturing a wide range of materials, including brass, copper, stainless steel, and Titanium. Among other, we have experience and manufacturing capabilities for pinch turning, gun drilling, pinch milling, polygoning, thread whirling, thread rolling, circular and helical interpolation, broaching, knurling, gear hobbing, burnishing, polar coordinate milling, rigid tapping, and engraving. 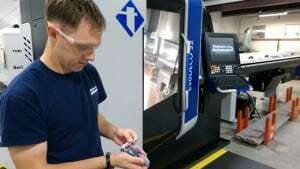 We also offer complex machining on our CNC milling and secondary machines. We have the ability to perform secondary operations in house or on customer received parts. Among other, we have experience and capabilities for edging, broaching, piercing, tapping, and slotting.